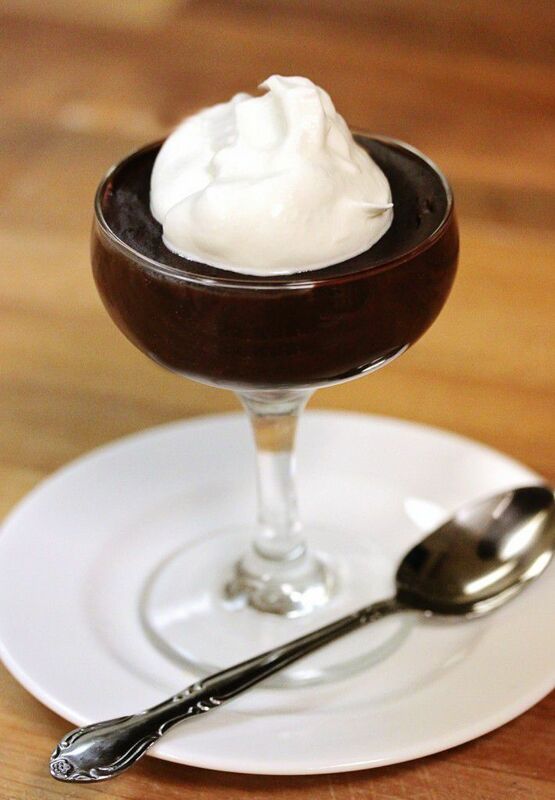 In celebration of Valentine’s Day, the Paragary Bakery is sharing a luscious chocolate pudding recipe that both adults and kids would enjoy making and eating. It’s decadent and rich, but also simple to make and perfect for sharing! In a medium bowl, whisk the eggs. Set aside (but keep nearby!). In a medium heavy-bottomed saucepan, combine the sugar, cocoa powder, cornstarch and salt. Pour about 1⁄2 cup of the milk into the pan and whisk to make a smooth paste. Whisk in the rest of the milk (and cream, if you’re using it). is very good for this). After about 2 minutes you’ll see the mixture thicken slightly. Remove from the heat. Ladle about a cup of the hot milk mixture slowly over the eggs (your eggs are still nearby, yes?). Whisk constantly to keep the eggs from scrambling. Pour the egg mixture back into the pan with the rest of the milk. Return the pan to the heat—keep it low and slow during this step!—and whisk for about 2 more minutes. You don’t want to bring it to a boil, just get it hot enough so the eggs are thoroughly cooked. It will thicken even more as you do this. Off the heat, add the vanilla extract, butter and chocolate. Whisk vigorously until the chocolate and butter is melted and the pudding is smooth and creamy. (You should probably taste a big spoonful at this point, for quality control). Divide the pudding between ramekins or small cups. Chill before serving.